Arnold Vento is a humble, mild-mannered kind of guy who doesn’t usually like to call too much attention to himself – that is, unless he’s on the basketball court where it’s hard not to notice him. 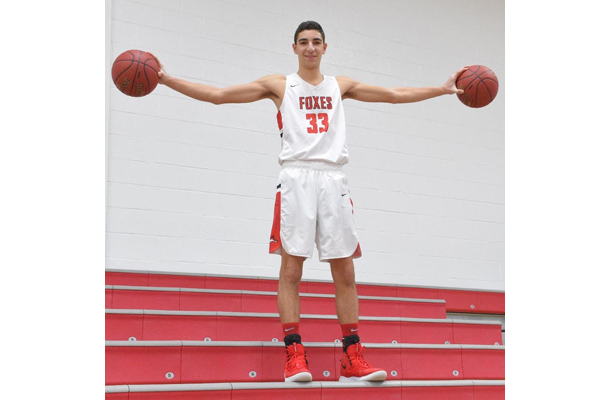 There, his 6’4” frame and incredible wingspan have worked hand-in-hand to make him one of the Foxes’ standout starters this season. His talents also have played a big role as the team secured a spot in the WPIAL playoffs for the seventh time in eight years. 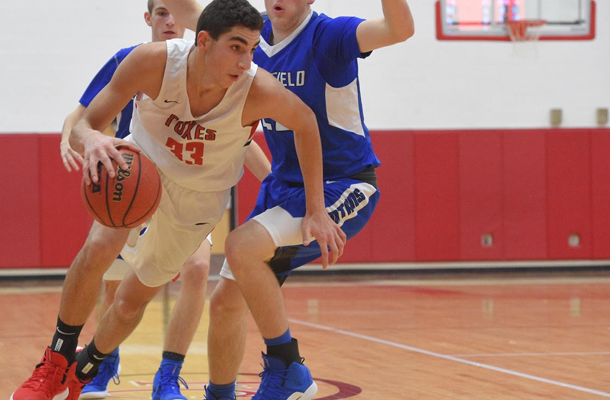 While being in the playoffs isn’t new to the junior guard (the team has qualified all three years he’s played on varsity), he will assume a much larger role this time, and it’s something he’s prepared for since he was a child. When Arnold was just in elementary school, he played for the Boys’ and Girls’ Club, on local travel teams, and even attended the high school’s youth basketball clinics. It was there that he met former Foxes’ standout player Brian Papich, a 1,000-point scorer and Pittsburgh Post-Gazette Fab Five pick who went on to play college ball at John Carroll University. Brian made a big impression on Arnold because of how much time he spent helping him and his ability to make learning fun. Nearly 10 years after Arnold met Brian, his game has reached new levels this season. He’s quicker, he’s gained confidence, he knows what he can achieve, and he is aware of his potential. And, just as others did for him, Arnold has made an intentional effort to help the underclassmen that will eventually take over the team. He’s also proven to be a valuable weapon on defense. Arnold routinely guards opponents’ better players and his remarkably wide wingspan gives him a great advantage when rebounding and disrupting other teams’ shots. There are athletes who play with a lot of emotion, and there are others who are naturally instinctive with a ball. Arnold is a level-headed thinker, a scholar whose approach to games includes intense scrutiny of game film. While there is no film of the Foxes’ golf matches, as a member of that team Arnold takes the same introspective approach. The National Honor Society member says one of the biggest things he’s learned from analyzing both games is that it’s the small mistakes that can make a big difference toward the outcome. “It’s the simple things, like in basketball when a cross court pass that gets picked off, or something else that happens very quickly that can make or break a game when they’re all added up,” Arnold says. One recent basketball game that Arnold found little to criticize was against non-section foe Penn Hills that ended with a one-point loss after double overtime. Arnold scored his career high number of points that night, but his individual achievement was somewhat soured by the loss. “While it’s always bad when the team loses, we learned a lot,” Arnold says. “We played a complete game and followed our plan all the way to the end. Our goal was to prevent them from feeding at the post, because we knew they were very good there, and force them to shoot from beyond the paint where they weren’t as accurate. We did that, but unfortunately, in the last second they hit a three-pointer. 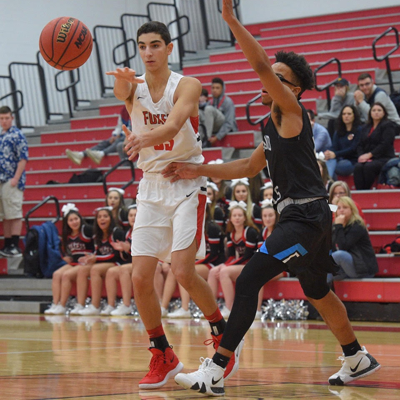 There have been a lot of high points this season, both for him and the team, and he believes that on those days when the team is connecting that they can be successful against a lot of teams in WPIAL 6A. “We knew coming into the season that we’d be young, but everyone has stepped up and it’s ended up working out,” Arnold says.